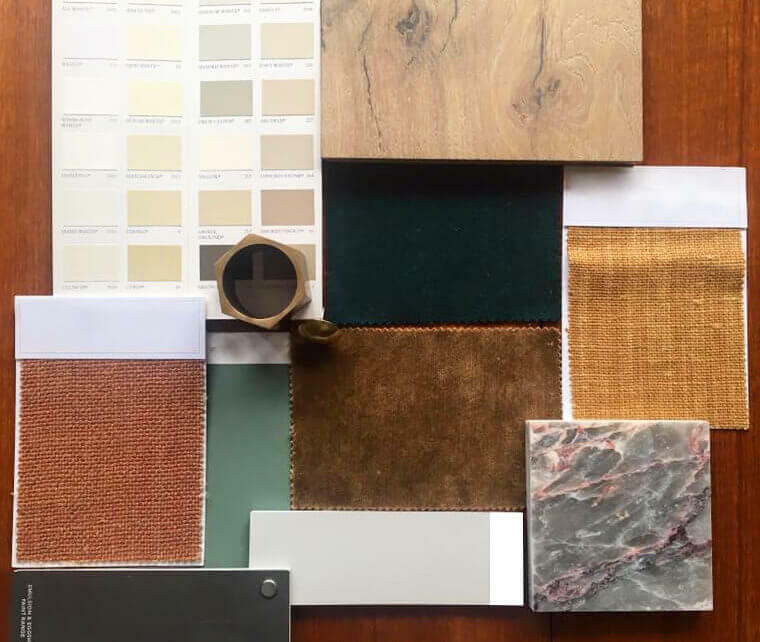 Aiming to inspire our clients, this year we are launching a Monthly Mood Board featuring an interior inspiration board put together by one of our designer clients. This month’s Mood Board was created by Anouska Tamony of Anouska Tamony Designs. For Anouska’s mood board she chose our Bristol Tectonic® Mixed Length FSC® certified engineered oak boards with a Dream White Finish. 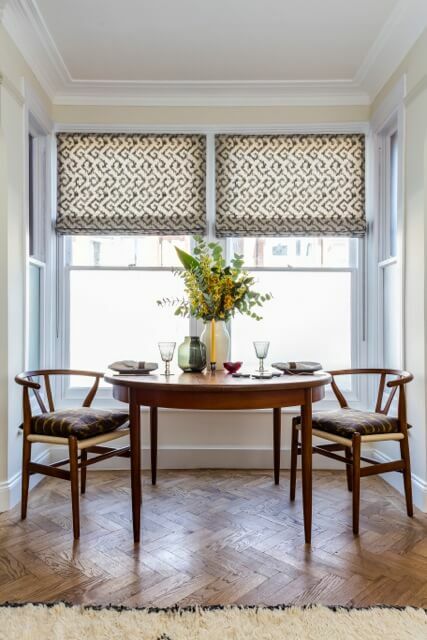 Anouska Tamony Designs is an award winning London based boutique interior design studio and member of House & Garden magazine’s ‘The List’ that undertakes projects in London, regionally and internationally. The studio specialises in high calibre residential projects, creating individual homes that reflect and resonate with their owners. A returning client of ours, we caught up with Anouska and discussed her inspiration for this Months Mood Board. A: Nature, rawness and warmth. I envisage a relaxed, undone, masculine setting. An open fire, logs and views across fields. What colours/colour palettes do you predict to be big in 2018? A: Ultra Violet is Pantone’s colour of the year so I expect we will see more of this regal and mystical colour but the right colour palette for a home, restaurant or other interior space should be determined by many other factors , other than trends. That said, I think themes such as nature and harmony resonate with society at the moment and earthy colour palettes will be a popular choice. Whilst those with fashion led taste will embrace the bolder hues we’re seeing in fashion e.g. rose pink, tomato red and marigold yellow. A: The variety, quality and customer service. A: Books, clients, exhibitions, travel and seemingly random sparks of imagination! A: The look, the texture, the feel underfoot and the patina with age. What do you look for in a supplier?? A: Integrity, consistency, reliability and a sense of humour. A: Yes, my first official project was for a couple I know who had just moved into their first house together. We created a home that was chic and classically English, a bit like them! A: My signature style is colourful and classic with a bohemian bent, however, it can manifest itself in different forms depending on my client. For example, I’m just about to complete an all white mews in Putney for an urbane bachelor that has been an awful lot of fun for an avowed colourist. A: This will sound cliché but the truth is I love working with friendly people who are engaged in the design process and receptive to creative ideas. A typical project runs from 6 months to over a year in duration making both sides appreciate cheeriness and commitment to achieving the end result. 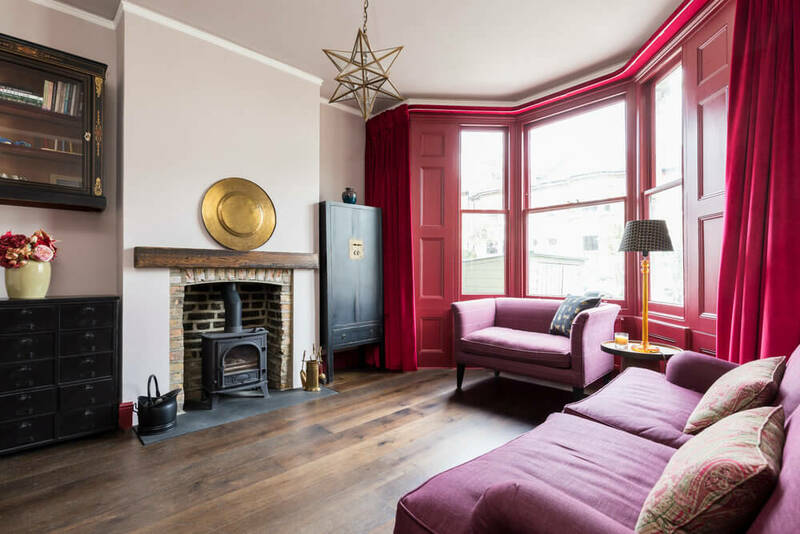 A: I’ve recently completed a project that saw the refurbishment and structural alteration of a 3-storey period home in Barnes. Unfortunately, (or fortunately depending on whether you’re a glass half empty or half full kind of person) when the structural work began it was revealed that two previously installed beams were not tethered to the external walls, effectively meaning that the house could have fallen down! Thankfully, the studio, the builders and the structural engineers pulled together as a team and everything was remedied and completed just in time for the clients to move back in before Christmas. A: Yes, absolutely. It’s full of treasured items from my travels. An orange Chinese art deco rug, pink marble fireplace and mother of pearl inlay chair are my newest additions to my home. A: My number one piece of advise is rather schoolma’am-ish “preparation, preparation, preparation’. Draft a budget, measure and create floor plans to work out ideal layouts and seek recommendations when it comes to instructing professionals to help carry out physical aspects of the redesign. It might be mundane compared to Pinteresting but it’s crucial to achieving a well considered and efficiently executed project.